My ultimate goal with this site is to help you get the business you’ve always wanted, and so here’s a few tips to help you get there faster. If you are consistently under-charging for your photography services, you’re basically leaving money on the table that could reduce financial stress that you have in your life or provide extra income for things like family vacations or the gear you’ve been wanting. Not only that, but the longer you keep your prices too low, the more likely you are to burn out as business becomes busy. It’s easy to run a business that undervalues its services because people see that it’s “a good deal” and book more easily. However, you attract people who book you based upon price and not because they love your work, and that’s certainly not most peoples’ ideal client. It also makes it more difficult to retain your client base as your prices finally increase. 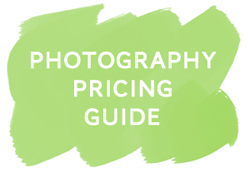 Take some time to walk through the Free Photographer’s Pricing Guide and make sure that your prices are adequate. It starts with how much you want to make in a year (since that may vary widely based on if you’re full time or part time, or if you don’t really need much money) and then it adds in expenses, how many sessions/weddings you hope to shoot, and how to price photography products and create packages, and finally discusses how your market affects your pricing. 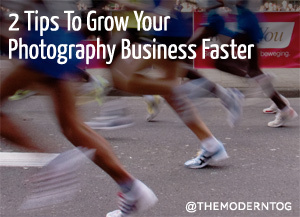 This is where you can get a huge advantage over most other photographers who are in their first few years of business because most people say they can’t afford it when really they are simply short-sighted and don’t realize how much more they’ll make from buying the right types of resources. A good workshop or ebook will help you make your money back several times over, and the photographers I know who have risen to success more quickly than others have done so through investing in learning early on. While I think it’s important to take workshops that help you grow as an artist, I think it’s even more important to invest in learning about the business side of things. It helps you focus on what is important so you don’t waste time doing things that don’t actually grow your business much, and they can help you get more clients and more money through solid business practices. While you may call me biased since I sell stuff on my site (which I obviously want people to buy), I had a very tangible increase in profit and bookings when I finally bought my first ebook about business instead of just reading blogs (even though there are some amazing blogs out there to read!). When you pay for something, you make more of an effort to actually put what you’re learning into practice instead of just saying you’ll get to it “one day” so it tends to be more effective than just reading free stuff. 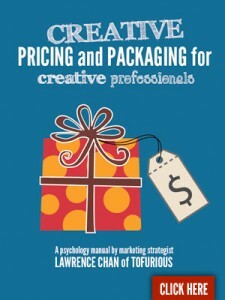 My first real ebook purchase that related to the photography business was “Creating Pricing & Packging” from Lawrence at Tofurious, and it’s still one of my favorite ebooks to date. I have literally made my money back from that purchase hundreds of times over. 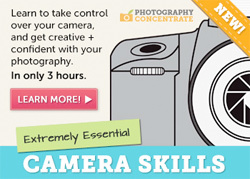 Anything from Photography Concentrate: Their tutorials are incredible and very clear. They will teach you how to work your camera, edit photos, create albums fast (this made me LOVE album design instead of dread it) and learn what you need to know if you’re thinking about shooting weddings. The 3-Book Bundle from Zach Prez: Helps you build your business, optimize your blog, and market yourself like crazy. Pretty sweet and super helpful, especially if you’ve been in business for less than 3-4 years. 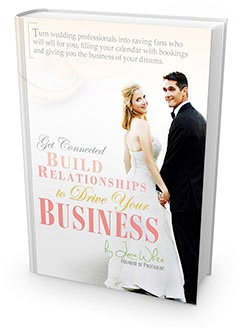 “Get Connected: How to Build Relationships to Drive Your Business” – Want more wedding clients? 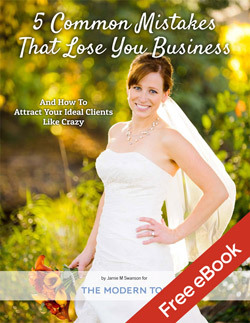 This book teaches you how to build quality relationships with vendors so that they send their client referrals to you. I wish I had this when I was just starting out because I think it would have saved me tons of time and money I wasted marketing my business in other ways, and I’d have more client inquiries coming in because of it. 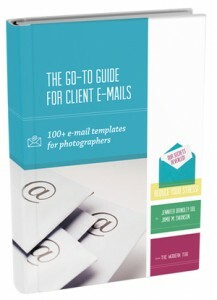 “The Go-To Guide For Client E-mails: 100+ E-mail Templates For Photographers” – This will help you get client management under control, and you’ll have a ready-resource of e-mails at your fingertips that you can use immediately. You’ve heard me talking about this a lot lately as I just launched it, and if you decide to pick it up before midnight MST this Thursday (May 3, 2012) you will get it for $50 off and get my client questionnaires for free as well (which are normally $49). Yes this is mine, yes I make money off it, but I seriously think you’ll benefit from checking it out. Get it now before the price increases. At the very least, download the free sample and see what you think of it for yourself. For that matter, I make a small referral commission if you use the links above as well to buy the other resources, but I’m committed to only sharing amazing resources that are worth more than they cost and are truly useful to you. Using the links above helps me offset the money I could be making by shooting instead of writing this site, so I appreciate it immensely. I’d love to hear some of the other resources you’ve used to help you grow your business as well as what results you’ve seen because of it. Leave a comment below and share. I’m always looking for great resources to buy and learn from for myself as well (and promote to you if I love it!) so your recommendations are always appreciated!